I have just recently finished Wither by Lauren DeStefano and enjoyed it immensely. However upon logging into my GoodReads account I noticed that one of my friends had just started reading it - only she wasn't enjoying it at all. In fact she seemed to be deeply unimpressed after a mere four pages in. I couldn't help feeling like this was an attack on me personally! I felt a maternal need to protect my glorious, just-finished, love. But I really shouldn't feel so bad - after all, I have walked in those very shoes. How people can make their way through Lauren Kate's pure Torment without banging their head against a brick wall, I'll never know. Some people enjoy it. Who am I to judge? I recently recommended a book called Jennifer Government by Max Barry to a friend of mine - only to have him report back that he hated it! How is this possible? I thought. It's one of my favourite books! I was so confused. How could anyone hate that book that I loved? But while sometimes I wish that I could live in a world where everyone loves the books I love, and hates the books I hate - it really would be no fun at all. We're all different for a reason and sometimes it's nice to be reminded of that and to take joy in it rather than getting distressed about it all. The year is 1984. Aomame sits in a taxi on the expressway in Tokyo. Her work is not the kind which can be discussed in public but she is in a hurry to carry out an assignment and, with the traffic at a stand-still, the driver proposes a solution. She agrees, but as a result of her actions starts to feel increasingly detached from the real world. She has been on a top-secret mission, and her next job will lead her to encounter the apparently superhuman founder of a religious cult. Meanwhile, Tengo is leading a nondescript life but wishes to become a writer. He inadvertently becomes involved in a strange affair surrounding a literary prize to which a mysterious seventeen-year-old girl has submitted her remarkable first novel. It seems to be based on her own experiences and moves readers in unusual ways. Can her story really be true? Both Aomame and Tengo notice that the world has grown strange; both realise that they are indispensable to each other. While their stories influence one another, at times by accident and at times intentionally, the two come closer and closer to intertwining. I am really not sure I can describe just how excited I am about this book. Ever since I heard that it was being published in Japan two years ago I had been waiting and waiting for the news that it would be translated into English. It has been a very LONG two years, let me tell you. 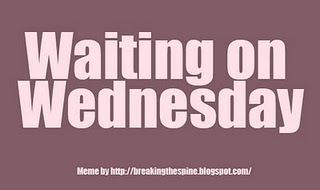 But it's almost time and I am getting jittery all over again. And really, if you've not read any Murakami by now - you're really missing out! 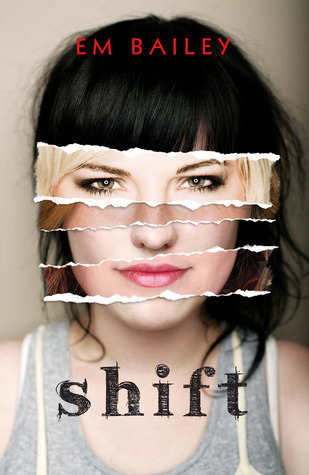 Shift is a sinister psychological thriller that tears through the themes of identity, loss and toxic friendship. Olive Corbett is just a bit mixed up. Dealing with a family break-up and surviving a suicide attempt, Olive has turned from being the popular girl at school to the introverted ‘freak’ that everyone ignores. With the exception of her only friend – Ami – Olive talks to no one. I’m really glad I had the chance to read this book. It’s so different and I think it’s going to be a strong addition to the YA market. The characters are solid and Olive really ties the story together – you are really living with her as she goes through her days convincing herself that she’s not at all crazy. This one gets five stars from me and I strongly recommend you add it to you ‘To-Read’ lists and go out tomorrow and pre-order it from your bookstore! "It's hard to take a site seriously when it's covered in banner ads telling you that you're the millionth visitor and urging you to click here to receive your prize. The site was called Shifter World and the homepage featured pictures of celebrities - mostly actors and politicians. Below the pictures of celebrities were words in red. Beware! These people are all shifters. That's why they're so successful." Pg 52. "Books are the ultimate Dumpees: put them down and they'll wait for you forever; pay attention to them and they always love you back." Pg 110. When it comes to relationships, Colin Singleton's type happens to be girls named Katherine. And when it comes to girls named Katherine, Colin is always getting dumped. Nineteen times, to be exact. He's also a washed-up child prodigy with ten thousand dollars in his pocket, a passion for anagrams and an overweight, Judge Judy-obsessed best friend. 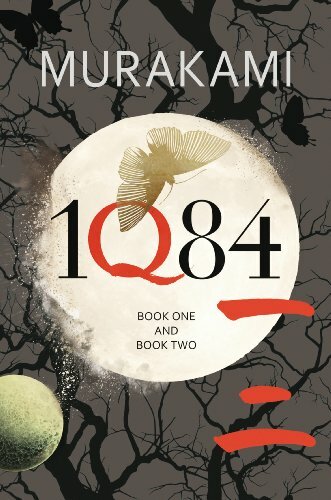 Colin's on a mission to prove The Theorem of Underlying Katherine Predictability, which will predict the future of all relationships, transforming him from a fading prodigy into a true genius, and finally win him the girl. Letting expectations go and allowing love in are at the heart of Colin's hilarious quest to find his missing piece and avenge dumpees everywhere. 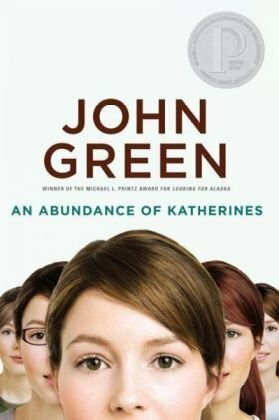 Do you know who John Green is? If you answered 'no' then I strongly suggest you hop on over to YouTube and type in 'VlogBrothers' and have yourself a nerdy good time! Colin is a smart guy. As a former child prodigy he is desperate to prove his worth to the world. But it's hard to stand out when there are so many other geniuses throughout history. One thing that does make him different (besides his talent for anagramming almost any word/sentence and speaking in eleven languages) is his knack for dating girls named Katherine. And thus begins a very amusing story as Colin and his best friend, Hassan, take a journey to discover just why Katherine 19 dumped him and perhaps discover a formula to explain the history (and even his future) of relationships. I really enjoyed An Abundance of Katherines. I've read a few of John's novels now and I do see what others have said about him having a pattern to his characters, but I don't think it's a bad thing. Mostly because the story and the characters relationships between each other are so strong that it just works. The thing about reading even one of John's books is that you will inevitably learn something from it. And I think as the main character of this one is so insanely smart - John had good fun throwing in his numerous personal interests including: Anagrams, Mathematics (despite the fact that he himself is not so good at it! ), English poets, Seriously random facts, Venn Diagrams and even Co-joined twins. 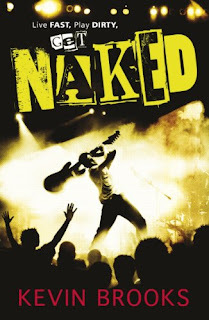 London 1976: a summer of chaos, punk, love... and a boy they called Billy the Kid. It was the summer of so many things. Heat and violence, love and hate, heaven and hell. It was the time I met William Bonney - the boy from Belfast known as Billy the Kid. I've kept William's secrets for a long time, but now things have changed and I have to tell the truth. But I can't begin until I've told you about Curtis Ray. Hip, cool, rebellious Curtis Ray. Without Curtis, there wouldn't be a story to tell. It's a story of our band, of life and death... and everything in between. I'm really excited for this. I had no idea who Kevin Brooks was until I was living in England and kids would come into the bookstore asking after him. The first book of his I read was Killing God which was a great book to start with and immediately drew me in. He has a fantastic ability to write about very serious and dark issues that kids deal with today, and iBoy is by far my absolute favourite read of 2010. "You know what I think? she says. She points through the hole into the dark throat of the diseased landscape. I think you're more dangerous than what's out there. Well, girl, he says, that's a funny thing you just uttered. Because I was just thinkin the same thing about you." Older than her years and completely alone, Temple is trying to live one day at a time in a post-apocalyptic world, where the undead roam endlessly, and the remnants of mankind seem, at times, to retain little humanity themselves. This is the world she was born into. Temple has known nothing else. Her journey takes her to far-flung places, to people struggling to maintain some semblance of civilization - and to those who have created a new world order. 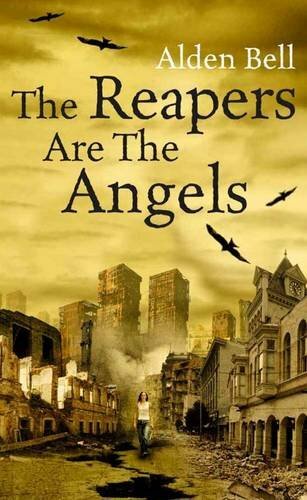 The Reapers are the Angels is not so much a book about a Zombie Apocalypse as it is about the living humans left alive afterwards. 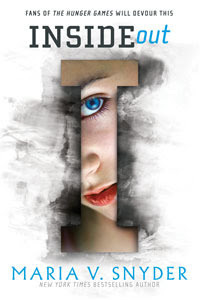 25 years ago the world went straight to hell and so for 15 year old Temple - this is the only world she's ever known. Taught not to read and write but to shoot and survive. Carrying with her the memory of her almost-brother Malcolm, Temple encounters groups travelling the country, cities of people attempting to rebuild a civilization and some very strange mutations. Oh. And lets not forget the Zombies. Countless 'slugs' of which Temple has no problems dealing with. The narrative is almost beautiful in its' violence and gruesomeness. The strength of this book is seen so acutely through the clarity of the landscapes and each of the characters; which makes it so unbelievably easy to inhabit the world and it's subsequent dangers. The characters Temple meets are each special in themselves - the silent Maury, the easy-going Lee, the sickening Abraham. But it is her sadistic dance with Moses that has to be my favourite. The depth of understanding they have for each-other is none that I have seen before. "I never said it would be easy. Giving up is easy." I'm Trella. I'm a scrub. A nobody. One of the thousands who work the lower levels, keeping Inside clean for the Uppers. I've got one friend, do my job and try to avoid the Pop Cops. So what if I occasionally use the pipes to sneak around the Upper levels? The only neck at risk is my own... until I accidentally start a rebellion and become the go-to girl to lead a revolution. If you've read Maria V. Snyder's previous books, you will understand when I say that Trella is a typical heroin in the Snyder universe. She is strong, independent and fiercely sure of herself. All she wants is to be left alone. But as she is thrust into one extraordinary event after the other, she is forced to come out of her shell, and this is when we see just what she is made of. The idea for Inside Out is a fascinating one. As I was reading I had no idea where Inside actually is or what function it serves. And as Trella dug deeper into it's secrets - I was right along with her. A bold addition to the YA Dystopia genre and like Maria's previous novels and other dystopian novels such as Hunger Games and Across the Universe - the story isn't clogged with copious amounts of romance, which left the plot free to be fast-paced and riveting. What a relief!